Estimated time to market : 17 months. Elafibranor (GFT505) is GENFIT's lead pipeline product. 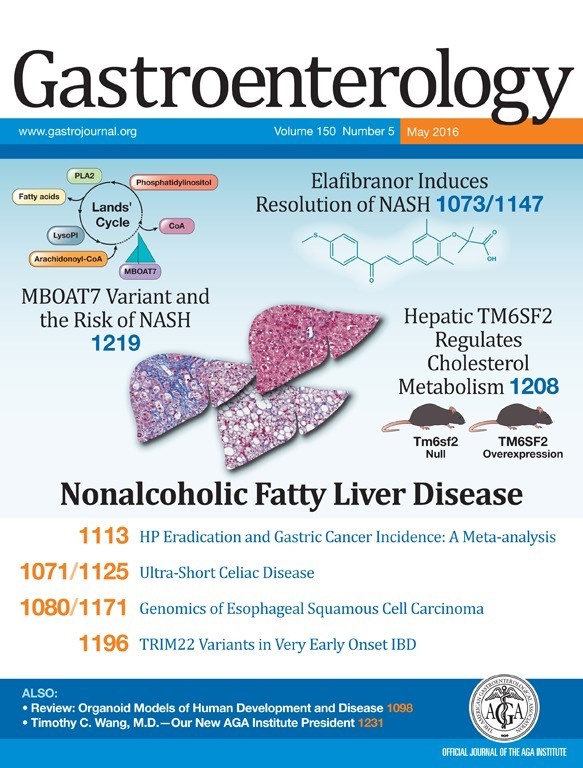 Elafibranor is an oral once-daily treatment, and a first-in-class drug acting via dual peroxisome proliferator-activated alpha/delta pathways to treat nonalcoholic steatohepatitis (NASH). Elafibranor is believed to address mutliple facets of NASH, including inflammation, insulin sensitivity, lipid/metabolic profile, and liver markers. Elafibranor is the generic name accepted by the World Health Organization in June 2015 for the molecule developed by the GENFIT under the code name GFT505. This name reveals a new root "FIBRANOR" which positions the Elafibranor as the first member of a new class of drug. Elafibranor is a new dual activator of the nuclear receptors PPARα/δ having multiple properties: modulating plasma glucose and lipid levels, anti-fibrotic, anti-inflammatory affects and other properties being studied. - A very good safety profile with no unwanted side effects in clinical trials (reinforced profile in toxicology studies with up to two-year carcinogenicity studies). The molecule that was initially developed to target diabetes was, because of its multiple action redirected for the treatment of NASH ( metabolic nonalcoholic steatohepatitis), a rapidly developing metabolic disease with no known treatment. in 2014 GENFIT got from FDA the FAST TRACK Status for the Elafibranor in the treatment of NASH disease. In many preclinical studies (on animals), the drug was tested and demonstrated strong effects on NASH disease which induced antifibrotic effects, so the results of the Phase 2b were eargerly awaited. Aware that the safety of the drug is essential for chronic treatment of patients already suffering from multiple diseases, GENFIT, in contrast to the majority of its competitors, has previously conducted or during Phase 2b, a number of other studies have confirmed the safety and absence of significant or dangerous side effects. THE CLINICAL STUDY - 2B PHASE - « GOLDEN"
The study of Phase 2b was entitled GOLDEN with a duration of 52 weeks integrating Originally 270 patients, included three balanced arms, placebo, ELAFIBRANOR 80 mg / day and a ELAFIBRANOR to 120mg / day, all orally. GENFIT was the direct sponsor of this study. At the end of March 2015 GENFIT announced the first results of this study, which were, in contrast to those of INTERCEPT very unwelcomed, the day after the announcement, GENFIT's share price lost 40% of its value. One cause of this stock disaster was, to my opinion, the shape and excessive honesty of the press on the results and concerted action market for stopping value. The study included patients with GOLDEN NASH NAFLD with a score of 3 to 8 inclusive while studying Intercept excluded the NAS score <4. This inclusion, which had been validated by the FDA, these little ill patients played a trick on GENFIT. Indeed this small group of patients (15%) had the bad idea to heal all alone with placebo and lifestyle advocated in this type of study. Thus the statistical impact of these patients prevented GENFIT to have a statistically significant result in the entire study population. GENFIT, for honesty, has placed this point early in his press release, and this was immediately and opportunely announced by some as a complete failure of the study. However, if the NAS score = 3 patients had sealed the statistical impact of the results, GENFIT had anticipated this possibility and had discussed with the FDA, even before the results of the study, statistical treatments used to rule a subpopulation if necessary. This is common practice and regularly accepted, the only requirement being to validate statistical reprocessing prior to accessing data selections to avoid 'ad hoc' and 'post hoc' which could then be considered oriented data manipulation. Remove patients with NAS < 4. The mere withdrawal of NAS < 4 patients immediately exchange the results of the GOLDEN study, which then achieved its objectives with a statistically acceptable result. Remove NAS patients with <4 is simply align with the population of INTERCEPT FLINT study had not included in its patient recruitment criteria with a NAS <4. By removing these patients, it remains to GENFIT 74% of the initial study patients (compared with 71% remaining in the FLINT study of INTERCEPT because of his early stop). It is totally acceptable as a statistical basis and detractors of this method are not without ulterior motives. The main end point of the GOLDEN trial was the reversion of NASH with no worsening of fibrosis. On an identical population to the FLINT study, GOLDEN study GENFIT has succeeded in 52 weeks on this criterion (22.4% vs 12.7% GFT505 placebo, p = 0.046, RR = 1.9) when INTERCEPT had failed in 72 weeks on this identical criterion. The results obtained are on the dose to 120 mg / day, the dose to 80 mg / day did not show any statistically sufficient effects, but the correlation of the two was able to demonstrate the dose / effect relationship of ELAFIBRANOR, this which is an essential factor in clinical studies and accepted a proof of the effectiveness of a drug. The ELAFIBRANOR is significantly lower LDL and HDL levels up, it increases the sensitivity to insulin, and even if it does not show, the whole population, histological improvement of fibrosis , the set of metabolic markers of fibrosis is decreased sharply. According to experts, the 52 weeks of treatment were too short to hope for a significant reduction of fibrosis histologically, but the metabolic results make it possible to seriously consider a potential regression of fibrosis beyond 72 weeks. It is a clear support of the Golden Study results by some of the major KOL on NASH in the world. But the most important is that the phase IIb GOLDEN study, applying the new consensual definition of reversion accepted now by the FDA to the incoming Phases III, was a total success whithout any statistical retreatment of the patients ( it means on all the 273 patients of the study) and Elafibranor is the only drug reaching this endpoint. 22% vs 12% placebo on NAS >=4 with fibrosis. Ratziu V, Harrison S, Francque S, Bedossa P, Lehert P, Serfaty L, Romero- Gomez M, Boursier J, Abdelmalek M, Caldwell S, Drenth J, Anstee Q, Hum D, Hanf R, Roudot A, Megnien S, Staels B, Sanyal A, on behalf of the GOLDEN505 investigator study group, Elafibranor, an Agonist of the Peroxisome Proliferator-activated Receptor-α and -δ, Induces Resolution of Nonalcoholic Steatohepatitis Without Fibrosis Worsening, Gastroenterology (2016), doi: 10.1053/j.gastro.2016.01.038. "In conclusion, this randomized controlled trial provides evidence that pharmacological modulation of the PPARα/δ nuclear receptors results in substantial histological improvement in NASH, including resolution of steatohepatitis, and improvement of the cardiometabolic risk profile, with a favorable safety profile. Larger phase 3 trials of elafibranor in the target population of patients with moderate to severe NASH are warranted." GENFIT published in April at EASL Congress further data on a smaller population comprising only major centers with a NAS> = 4. In doing so they are close to the best of the future population and conditions for future Phase 3. The exclusion of small centers leads to a drastic reduction in the patient base which is reduced to 120 in this subgroup. It should be noted that this statistical treatment had been imagined before access to data and therefore does not involve an ad hoc population. And to compare with the study of INTERCEPT FLINT, decreased 2 points NAS score with no worsening of fibrosis (48% versus 21% GFT505 for placebo; p = 0.02) or 2.29 times better than placebo. This is an extremely favorable design GENFIT for several reasons as it accompanies the new consensus definition of NASH. I mentioned this evolution of the definition of NASH in my previous articles citing the symposium speakers on NASH, which was held last June in Paris. A world expert questioned what defined him best the NASH answered "the balloning and portal inflammation". I recalled that on these two points, GENFIT announced very good results while the OCA Intercept had an efficiency almost zero on the balloning. What is interesting is that GENFIT has obtained eligibility for Subpart H on the basis of an interim study of 900 (1000 now) patients over 72 weeks only. One histological criteria, the reversion of the NASH with no worsening of fibrosis. The relative small size of the sample means will drastically limit the cost of this first phase of part 3 before applying for a marketing authorization and therefore to start returning cash. It is far from the $ 200 million initially announced, if one follows the current design statistical publications of this type, the Phase 3 cost should not exceed a total of $ 150 million and may be only $ 80 million for the first phase which would consistent with a cost assessable to 5 times the cost of Phase 2b which included 270 patients for 12 months. The second point is the histological criterion which is cut exactly on the known performance of the ELAFIBRANOR (an important action on the balloning and inflammation) and which deviates steatosis as a criterion on which the elafibranor was iless efficient. October 2013 : Dual Peroxisome Proliferator-Activated Receptor alpha/delta Agonist GFT505 Improves Hepatic and Peripheral Insulin Sensitivity in Abdominally Obese Subjects. October 2016 : BIOPSY IN QUESTION ! 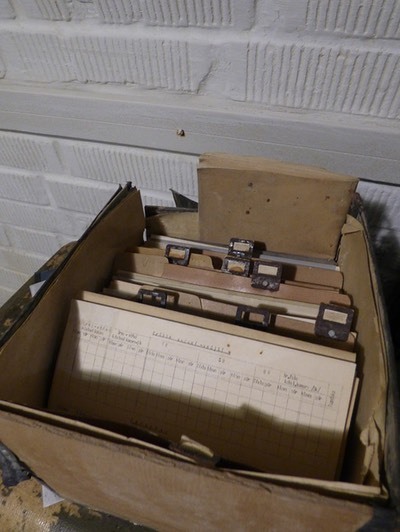 FALSE NEGATIVES - FALSE POSITIVES ! A POPULARIZATION ! October 2016 : ELAFIBRANOR IN PBC, WHY ? September 2016 : NASH ! SLIDES WAR IS DECLARED!